Free download King of the Monsters game for PC. It is an arcade game developed for neo geo platform. King of the Monsters is one to one fighting game published by SNK. The game is very amazing and takes place in Japan. At first stage, there is the city of Tokyo. King of the Monsters game is light weight and you can download it from the download link given below. After downloading, just extract the zip folder. You can play the game easily without installation as it is a portable game. Start and play the game according to the game play method given below. In King of The Monsters game, you have to select your player from the list of six players. After that, you have to defeat your opponent. 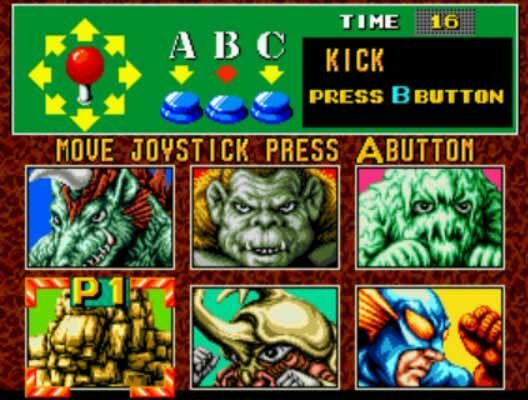 You have to use button A for punch and button B for kick. The action keys from keyboards are A and S. The movement buttons are arrow keys. You can move your player up and down in the city. 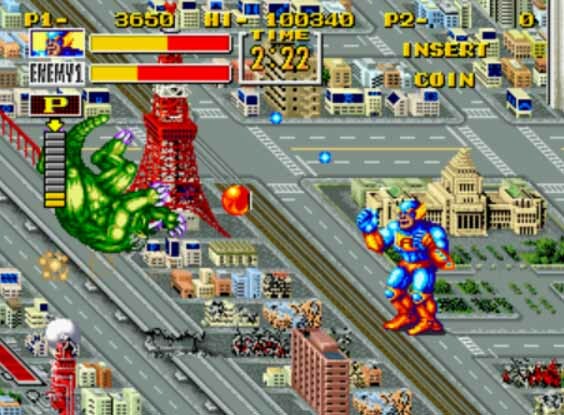 King of The Monsters game is a fighting game between large and huge creatures. You will see the city very small as compare to your player. You can also pick up your opponent and throw him to get power. This will increase your life. If your player is down and opponent is upon you, the countdown will be started. You can to keep pressing action A button to get up. You have to know out your opponent like this way.